The fith-gen iPad rumor mill has gathered significant pace over the past couple of weeks, and with a report a couple of days back suggesting that the iPad 5 release date could be upon us as early as June, the increased attention may well be warranted. Today, KGI Securities analyst Ming-Chi Kuo, who tends only to speak out with reliable information, has chimed into the debate once more, and although his August-September release bracket refutes those earlier presumptions, he does believe the next Apple tablet will be dramatically thinner and lighter than the rather bloated fourth-generation offering. He estimates the iPad 5 will be 15% thinner and 25% lighter than the current flagship, a notion which does fall in line with suggestions of a much more iPad mini-esque form factor. In fact, Kuo goes on to mention that the next full-size iPad will feature thinner bezels along the longer edges as per the iPad mini, which will in turn allow the device to be slightly narrower. Kuo foresees the next iPad measuring in at around 7.5-8.0mm in depth, which is a full 15% thinner than iPad 4. At 500 grams, it takes a quarter of the weight off the current flagship, and although that may not sound like a big number, in tech terms, it is a very profitable drop in bulk. Kuo also reckons the device will pack in an A7X processor, although predicts the cameras to remain largely unchanged. 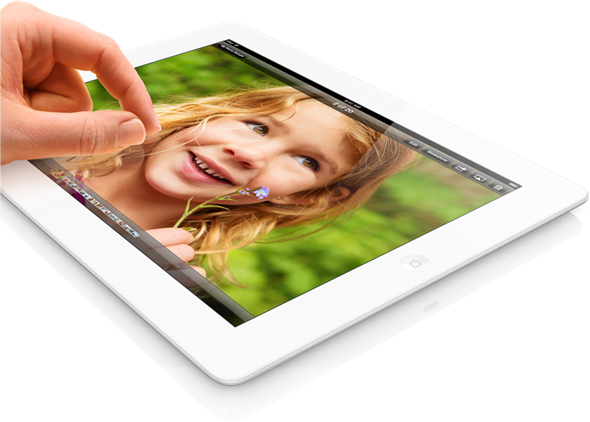 The 5-megapixel iSight of the iPad 4 is no great shakes, but then again, with very few people use their iPads for taking snaps, it makes sense for Apple to concentrate on some of the more important issues with its market-leading slab. It makes a tremendous amount of sense for Apple to revert to the more contemporary appearance of the iPad mini. Not only are the iPad 4’s aesthetics growing a little old, but the mini is a beautiful device, and having both in line with each other promotes a more uniform look across the board. 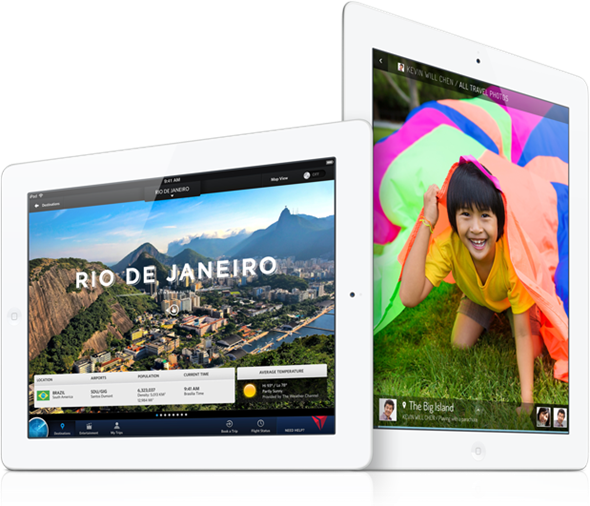 The next generation of iPad looks to be the biggest leap since the third-gen brought that Retina display, and with the iPad mini also set to see that very feature later on in the year, Apple’s continued dominance in tablet space will be difficult for rivaling vendors to falter.